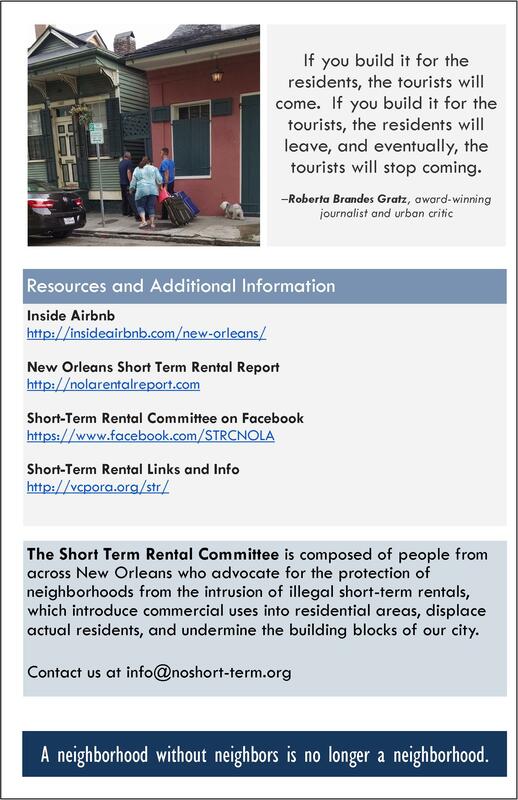 One year ago, the City Council legalized short-term rentals. 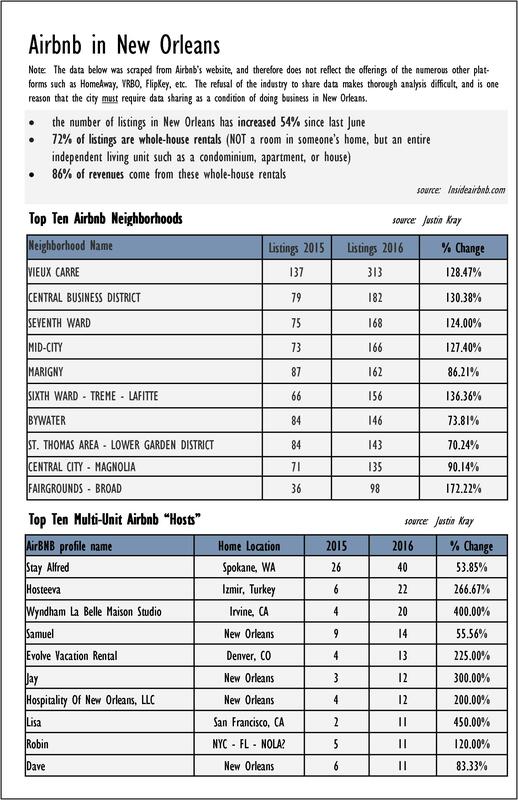 The results have been disastrous for many neighborhoods, especially those in the historic core. Bring your concerns, your complaints, and your ideas to the City Planning Commission meeting today! 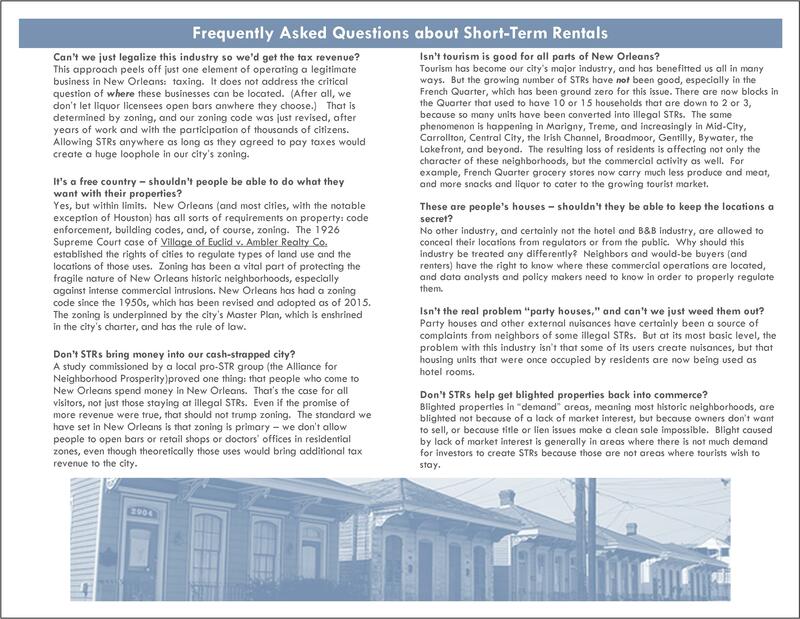 On Wednesday, January 3rd and again on Wednesday, January 10th, the city will continue enforcement hearings against the operators of alleged illegal short-term rentals. 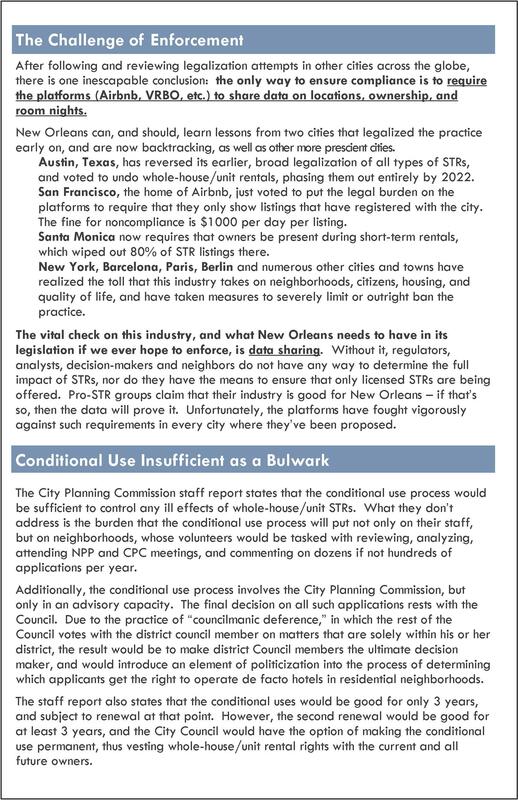 As a reminder, virtually all STRs are illegal in this neighborhood, with the exception of the 200-700 blocks of Bourbon Street. 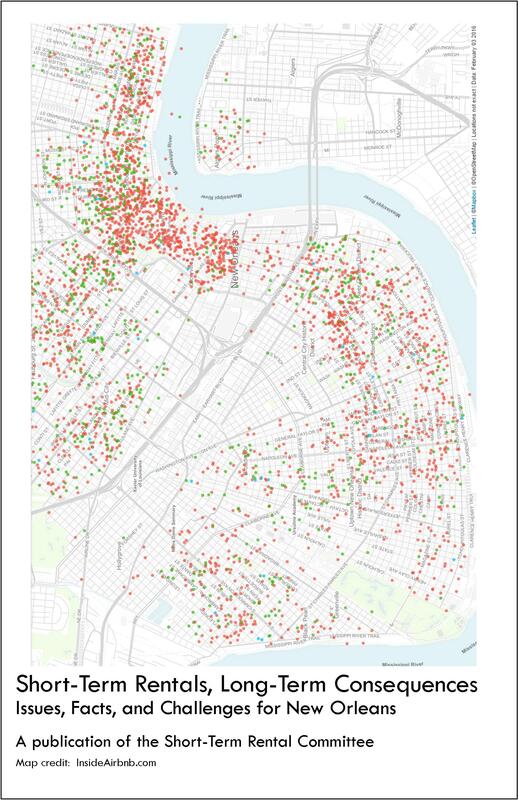 This Wednesday’s city adjudication docket includes three French Quarter STR violations, in addition to seven others across the city. We will continue to send out these adjudication dockets so that affected neighbors may attend or contact the city regarding these properties. On Wednesday, September 20th and again on Wednesday, September 27th, the city will continue enforcement hearings against the operators of alleged illegal short-term rentals. If you have any information about STR operations at any of these locations, please contact us at info@vcpora.org or 581-7200, and of course, please plan to attend the upcoming hearing. 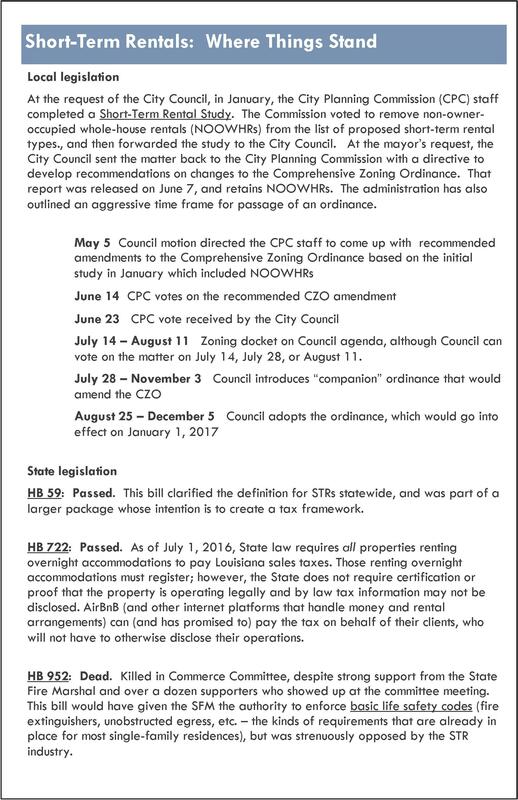 On Wednesday, July 26th and again on Wednesday, August 2nd, the city will continue enforcement hearings against the operators of alleged illegal short-term rentals. If you have any information about STR operations at any of these locations, please contact us at info@vcpora.org or 581-7200, and of course, please plan to attend the upcoming hearing. 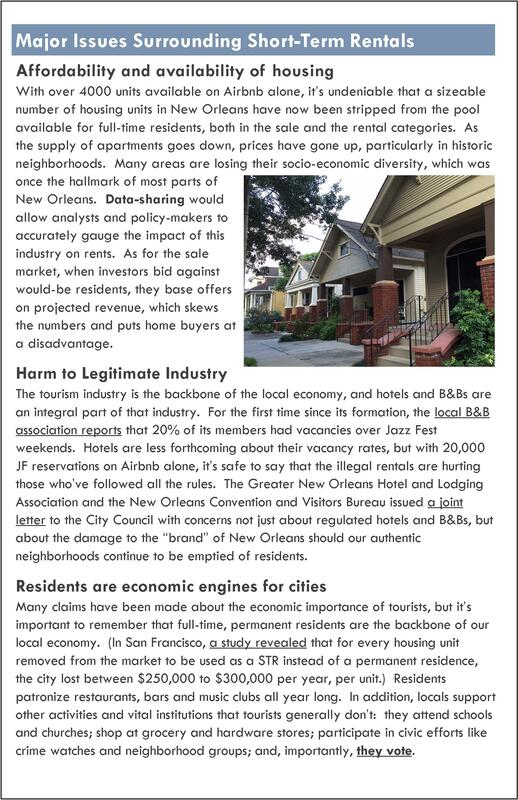 On Wednesday, July 12th, the city will continue enforcement hearings against the operators of alleged illegal short-term rentals. STR cases are scheduled to begin at 9am, with many, but not all located in the French Quarter.